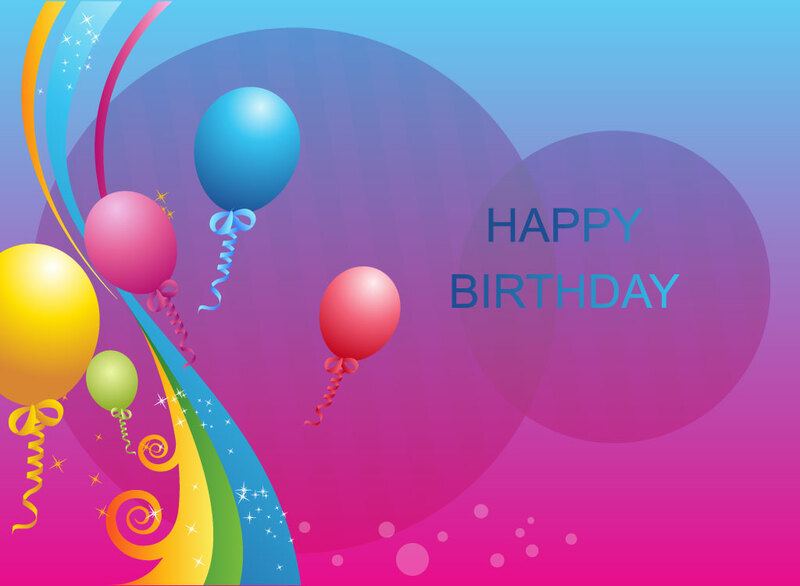 Happy birthday vector artwork with sample text and a design of colorful swirls, sparkles and balloons all on the left side. Replace the sample text with your personal message, graphics or a sentimental photograph for an instant greeting card to surprise your boyfriend, girlfriend, sister, brother, mother, father, colleagues, friends, family or loved ones. Tags: Anniversary, Balloons, Card, Celebration, Circles, Happy Birthday, Sparkles, Stars.